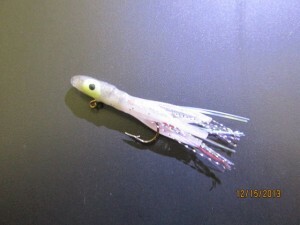 Typically when people think of mini jigs they think crappie, panfish, and bluegill. But, mini jigs are great for trout as well. Here a few mini jigs that produce quality trout each year. Pucci 1/16 oz. Mini Jig. Red and white works great for all species of fish. Crystal Bullet 1/16 oz. These shad patterned mini jigs closely reseamble the shad the trout are feeding on. Kalins 1/8 oz. white round jig head with a Seps trolling grub. 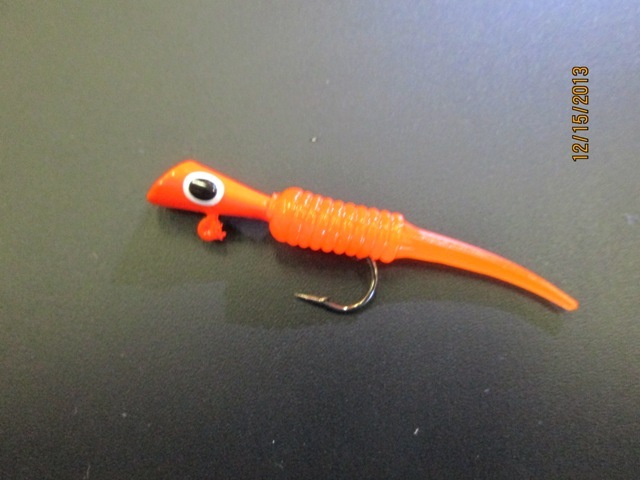 These little grubs work extremely well on a slow retrieve. Berkley Power Bait Atomic Fry 1/16 oz. orange. Remember, fish can be curious. Without hands, there is only one way for a fish to find out what this little orange thing is. 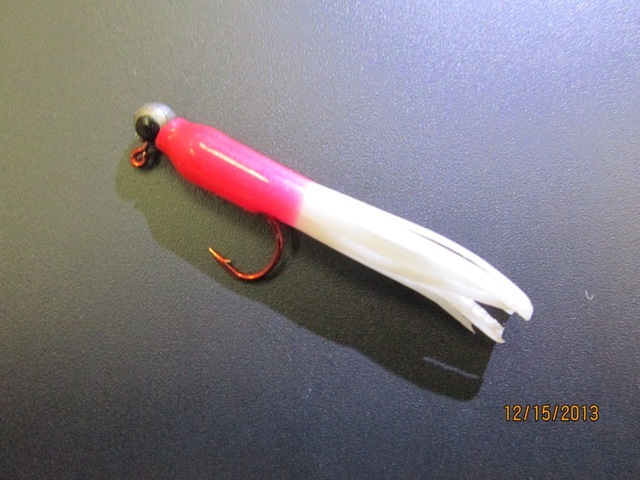 Eagle Claw 1/32 oz. 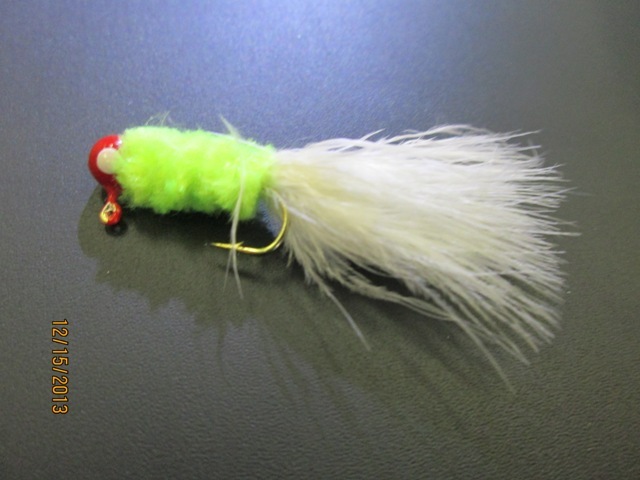 Marabou Jig red/chartreuse/white. These little jigs have been catching fish for years. The nice thing about the marabou tail is it will constantly be moving even when the bait seems motionless. The body is tied with chenille which works great for absorbing scents. 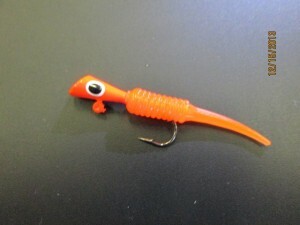 There are many ways to fish with mini jig style baits. For bank anglers the best way to successfully fish with mini jigs, is to fish them under a slip float or behind a bubble. 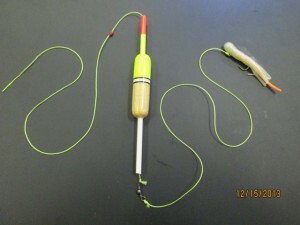 When using a slip float, slide a bobber stop on the line first and set it to the desired depth you want to target. The trout are in shallow water so, a 10-15’ leader length should be plenty. 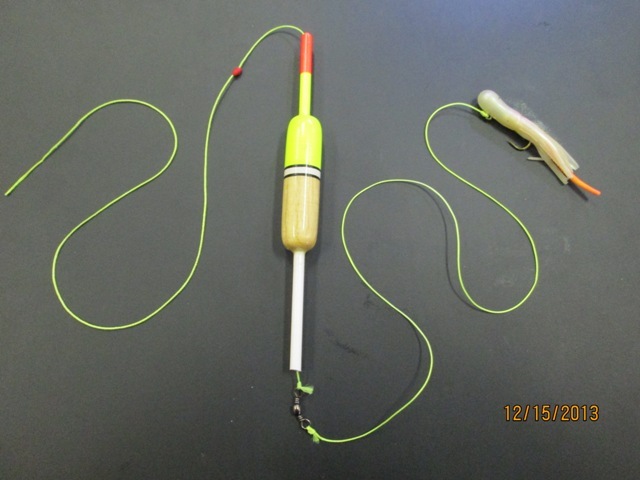 After making a cast you can leave the bait in one spot, or you can use a slow shaking retrieve to entice the fish into biting. Another great way to rig these little baits is behind a bubble. 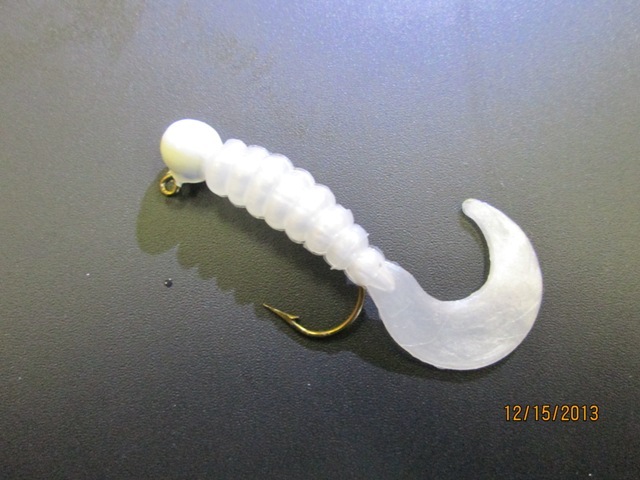 The sliding bubble can be partially filled with water to add weight and makes for easier casting. The bubble half full of water will still float on the surface. 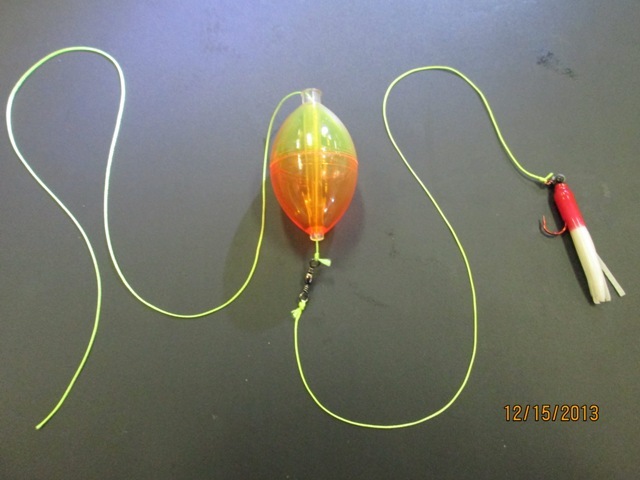 Simply slide the bubble on the line and tie on a barrel swivel to separate the bubble from the bait. A 3-4’ leader from the swivel to the mini jig is plenty. This presentation works best with a long cast, and a slow and steady retrieve. These setups also seem to be more productive if there is a little ripple on the water. For anglers who are fishing from a boat. These baits fished under a slip float work great while drift fishing. Simply set the bobber stop and leader length, cast away from the boat and drift over the structure you choose to fish. When we get some rainfall try casting these baits near running water and feeder creeks. Just add a split shot a few inches above the bait to make casting a bit easier.